The herb combination possibilities are endless. Tonight I needed the perfect herb to pair with lamb, and rosemary did the trick! In a small dish, allow your butter to soften at room temperature. This takes 30 minutes or so.Once softened, gently stir in the salt, rosemary, and lemon zest until distributed evenly.Store, covered in refrigerator until ready for use. One of my favorite parts about living a ketogenic lifestyle is the incorporation of delicious fats. While I do appreciate the use of butter, I do believe it’s best when used in moderation. A compound butter, infused with fresh herbs is always great for adding flavor to your favorite dishes. 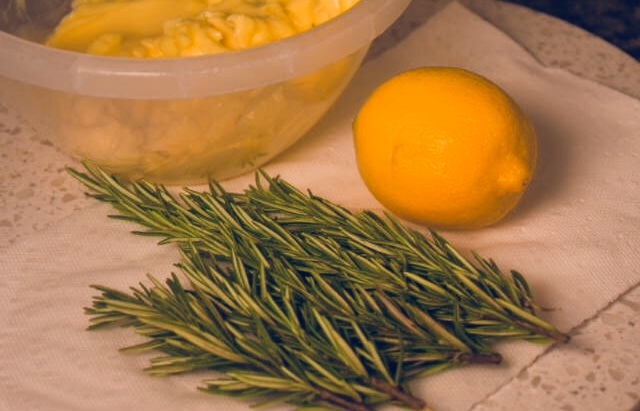 I’ll share some of my favorite combinations for compound butter as time goes on, but for now here's an incredibly simple lemon-rosemary butter. It will pair well with any lamb dish! Try it!